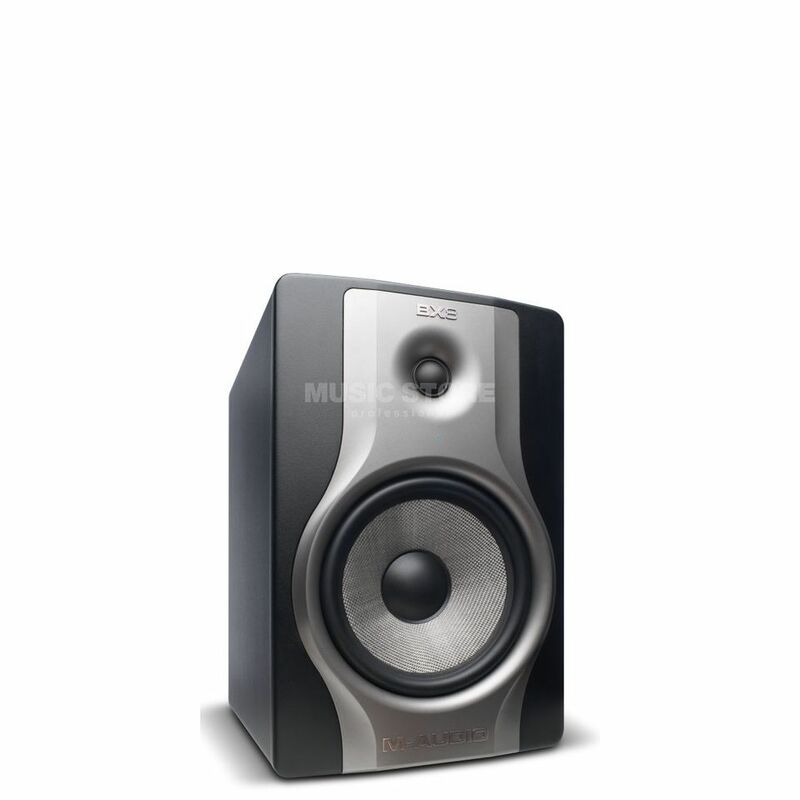 The M-Audio BX-8 Carbon is an active studio monitor featuring a 8” woven Kevlar woofer, 1.25” silk-dome tweeter, a bi-amplified 130 watt class A/B design and a unique Acoustic Space Control feature that lets you calibrate the monitor to your mixing environment. The monitor builds on the success of the BX8 D2 by improving the waveguide for superior stereo imaging and offering a frequency response of 40Hz to 22kHz. If you need an affordable yet professional active monitor for any level of studio work, the M-Audio BX-8 Carbon delivers everything you could ask for at a great price. 40 Hz – 22 kHz Frequency Response. Build quality is good. The one word summary is "neutral" sound ... nothing missing, nothing added, Im very pleased with the frequency response. The only reproach is the lack of control for the treble. But the cleanness and flat-response of these monitors make them so worth buying.